We invited my mother-in-law (MIL for short) to celebrate her 70th birthday with us here in Singapore. We thought of bringing MIL to Universal Studios so we headed to Vivo City, the largest shopping mall in Singapore and the gateway to Sentosa Island. Vivo City is easily reached by Harbourfront MRT Station and on the third floor of the mall is the terminal for Sentosa Express monorail. It is the quickest transport to Sentosa Island while enjoying the nice view of the sea. 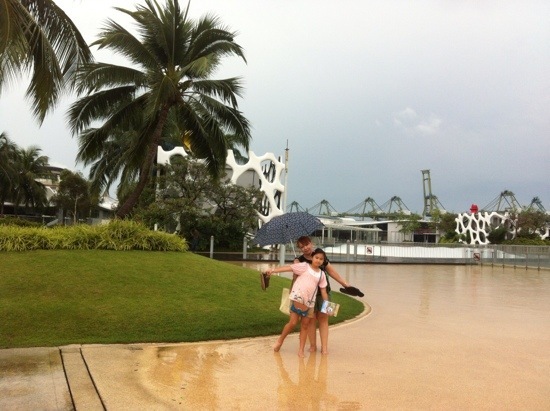 But the weather did not cooperate that day and it’s not nice to roam around an outdoor theme park on a rainy day so we just made a full day of hearty dining and budget shopping within Vivo City. There are luxury brands and common retail shops available at Vivo City which makes it an exciting shopping destination. It has a huge outlet of ToysRUs, Daiso Japan, Giant Hypermarket, The Pet Safari and it has the only National Geographic concept store in Asia. There is also an amphitheater, an open-air playground, and a relaxing SkyPark. 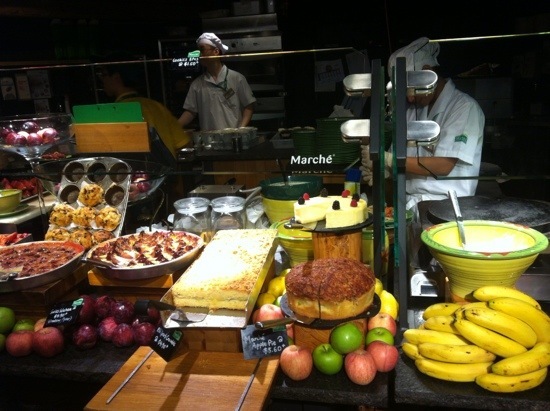 At the SkyPark is a popular Swiss restaurant called Marche. It offers market-fresh, healthy and meals of international standards. They do “front-cooking” to assure customers of the freshness of the food. We always had fully satisfied dining experience at Marche 313 Somerset branch but it was our first time to dine at Marche Vivo City branch. The food and service were notably consistent and truly excellent. Marche is known for their Rosti – a Swiss dish consisting mainly of coarsely grated potatoes then pan-fried. Some would top it with sour cream, others will add egg or sausage or burger to go with their Rosti. Rosti with sausage is my daughter’s favorite! 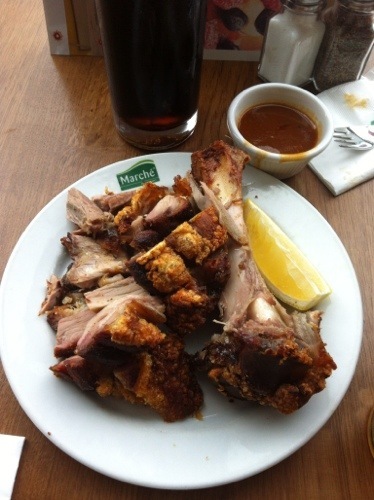 Another popular choice at Marche is their pork knuckles. In Manila, we have a version of this deep-fried, crispy pork knuckles and we call it, Liempo. We never indulge ourselves to the temptation until we had this lamest excuse, it was MIL’s birthday and it was her wish to eat this beautiful pig. It was the loveliest, yummiest pig. We also had an enormous serving of seafood paella, a mix of fresh greens, grilled salmon and wild mushroom soup. Movenpick ice cream for dessert was one sweet finale to this food feast. MIL enjoyed this birthday lunch treat and we all had fun! 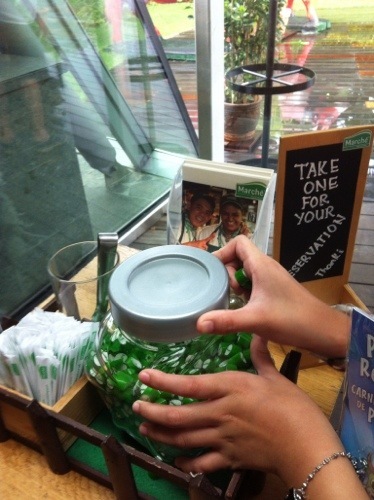 And as always, we help ourselves with Marche’s complimentary signature mints upon exit. Burp! Burp! Burp!